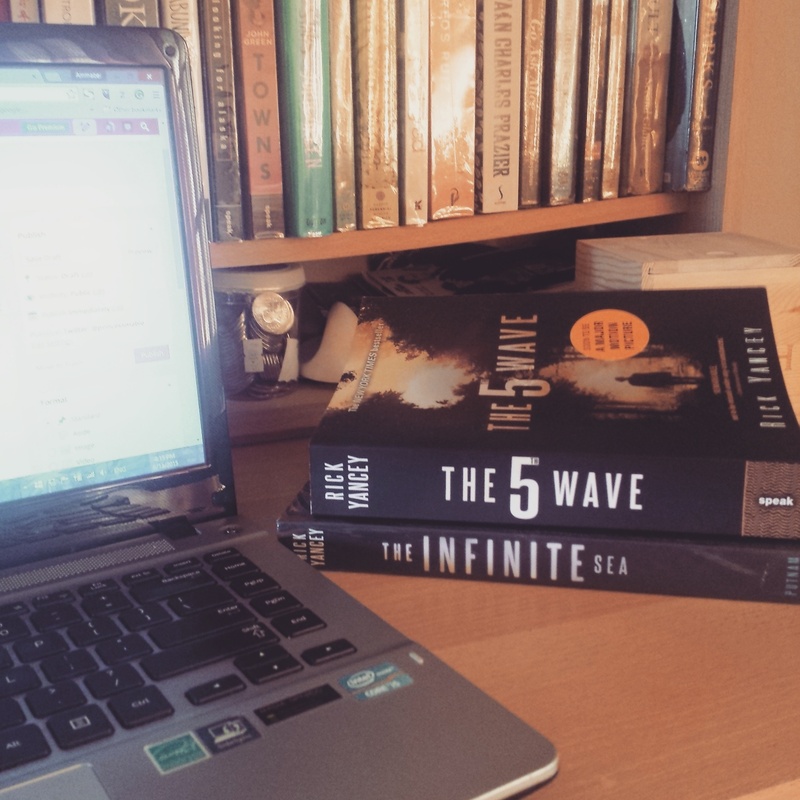 The 5th Wave written by Rick Yancey is a YA sci-fi novel which revolves around the story of 16-year-old Cassie Sullivan and her battle to survive in the world that is now overridden by the Others. The Others being aliens or extraterrestrial beings. I have to admit this is just my third or fourth sci-fi novel and the first book I read with extraterrestrials directly involved in the story so I’m still generally treading the waters with this. I found the plot very intriguing where an invasion was carried out in waves, it rang realistically and not too far fetch to me. The beginning of the story narrates the start of the invasion with the first four waves and the catastrophes that came with it. Each one deeply affecting Cassie and her normal life. When she’s separated from her little brother Sammy, she heads out on a mission to save him. The build up of the story was a slow track for me and there are certain scenes which just left me a bit glazed. But 130 pages in, that’s when the ball started rolling. With the introduction of the character of Evan Walker. This is where the story got really interesting. Just when Cassie thought she was all that humanity has left, she meets the good old farm boy Evan and she has no choice but to trust him in order to survive. Plus, there’s that lingering suspicion that Evan might be one of them, one of the Others. Not to give away too much of the entire story, you’ll also find chapters from the point of view of one Ben Parish and Sammy Sullivan, Cassie’s little brother. Together these POV will give you a complete view of what is to happen when the extraterrestrials come in and invade Earth. Yancey made it clear that The 5th Wave won’t be like any of the usual alien invasion type of movies (or books) where we, humanity, will come in guns blazing defeating the aliens and driving them back to wherever galaxy they came from. No, he was pretty clear in his message when he wrote this first book. That in this David vs.Goliath scenario, the odds are not looking good for David. Rick Yancey was able to stir in questions that you’d find yourself asking if you were left in Cassie’s shoes and even doubt some of those answers. Who would you trust? Would you rely on another human to survive? And are you going to hang on that last thread of hope that there’s still a way to save humanity? The first installment is a good introduction to the trilogy, even if I wasn’t left clamoring to read the second book The Infinite Sea, I still listed it as one of my many to-reads. I’ve also learned that the book is going to land on the big screen soon starring Chloë Grace Moretz as Cassie Sullivan. That’s one more thing to look forward to. 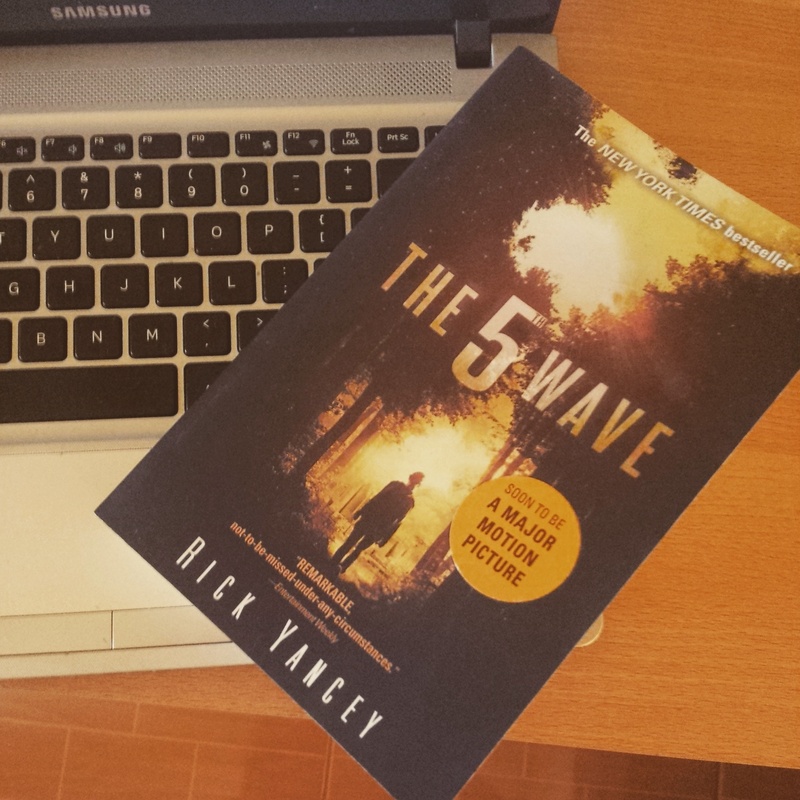 Rick Yancey’s The 5th Wave is entertaining and an intriguing read.